Try using your favorite pie filling with this recipe. 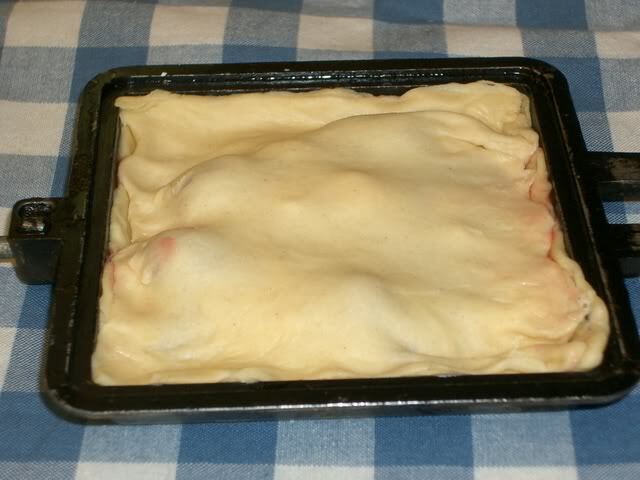 With your finger tips, press dough out until it about 9 inches long; cut in half at the middle. Place one half in buttered pie iron. 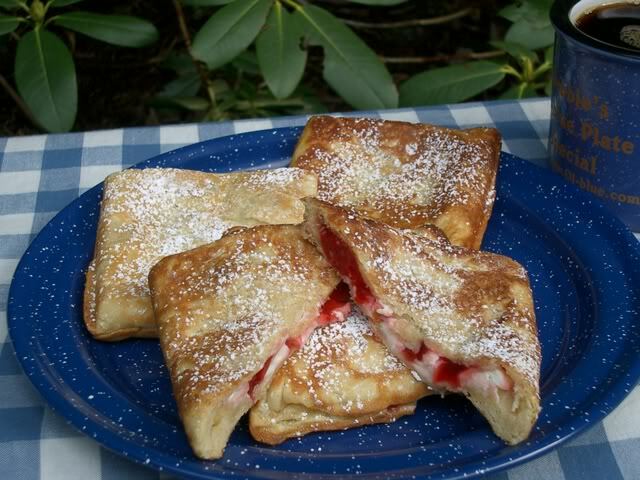 Top dough with a couple tablespoons of cherry pie filling and dot with 1 tablespoon of cream cheese. 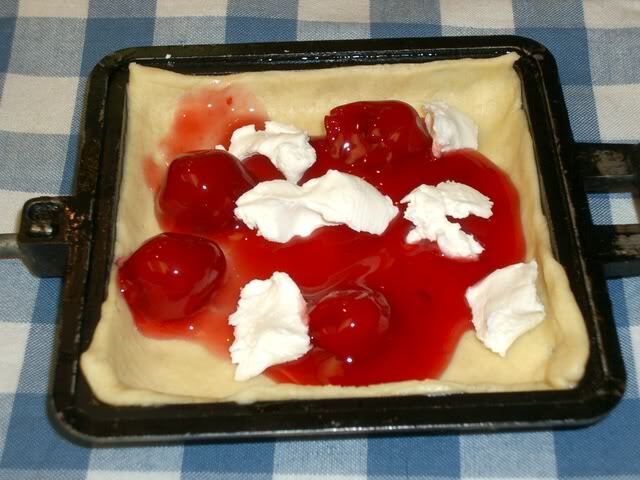 Place other half of dough on top and press dough down inside pie iron around the edges. looks really good! cant wait to give it a try! No pie iron... what do i do?? thanks for remembering my coconut! Looks yummy as always, but DW has me on lock down with this stuff!! Omg I never thought to try that on a pie iron !!!!!!!!! !